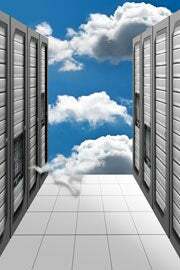 Rackspace for the first time plans to extend its support services to OpenStack cloud implementations that reside within the walls of an enterprise or third-party commercial data centers, the company announced Monday. To use the new Rackspace support services, an enterprise must use OpenStack according to a Rackspace reference architecture, which the company plans to make public. That architecture will specify hardware, configuration, networking and which OpenStack features to include. "We assure them if they're following that, we'll keep it up and running," said Jim Curry, general manager of Rackspace Cloud Builders. Rackspace, along with NASA, contributed code to OpenStack, which is open source software for building clouds infrastructure. Rackspace will offer support for enterprises that run their cloud implementation in an internal data center, host it with Rackspace or another hosting service. Equinix, one of the largest data center operators in the world, is one hosting provider that enterprises can use and get Rackspace support. "We want to get to a model where we can provide technology innovation for OpenStack if it's in an Equinix facility, in a customer facility and one running at Rackspace," said Curry. It plans to offer the same kind of support services it offers customers using its own hosted services, though not all will be available initially. The executives were reluctant to share many details of how it would extend such support outside of its own data centers, but they said some of the services would require software running on customers' servers. Once the specified hardware and software is in place, Rackspace's support services include making "sure the cloud stays up and running," Curry said. That includes pushing out the latest versions of OpenStack, responding to a variety of issues such as a customer having trouble loading images and proactive planning for things like future expansion. Rackspace will use many of the same tools it already uses to run and operate its own public cloud, he said. "The goal is to make it so all the tools and processes and know-how we have are things we'll make available to customers," he said. Initially, the reference architecture requires Dell C Series servers, because Rackspace uses them in its own data centers and has a lot of experience with them, said Mark Collier, vice president of business development at Rackspace. It includes Cisco products at the networking layer. "Over time we expect to expand the options in the reference architecture," he said. Rackspace has also compiled a list of system integrators and consulting companies that it will recommend customers use for help with installing their OpenStack clouds. Rackspace has given these companies the reference architecture and some training on the kinds of deployments Rackspace will support. So far these companies include Cloud Technology Partners, MomentumSI and Team Sun. Team Sun is one of the biggest system integrators in China, Collier said, which is a market that has surprised Rackspace with the level of interest in OpenStack. Rackspace joins a few other companies trying to make it easier for businesses to use OpenStack in their private clouds. Nebula, which was founded by a former CTO of NASA, is working on an appliance for building private clouds using OpenStack. Piston Cloud Computing, which was founded by the lead architect of NASA's cloud, is developing an OpenStack distribution designed to make it easy for businesses to use OpenStack. Attachmate's Suse division is also working on OpenStack software designed for ease of deployment in private clouds. Rackspace could include some of those products in its reference architecture, the executives said. "Those aren't fundamentally incompatible with our approach. At this point, the pure OpenStack approach is one we have the most experience with and we feel are the most mature," Collier said. The products from Nebula, Piston and Suse aren't yet available. Interest in using OpenStack for private clouds is growing along with the overall growth in demand for private clouds, Collier said. "As these IT organizations within big enterprises are wrestling with what platform to choose, they know that over the long run they'll run some portion of their business in public clouds. Choosing the architecture widely adopted by service providers is a good bet," he said. OpenCloud was initially most interesting to public cloud providers, many of whom decided to use it to build their services.